The P-Series P22xCT Dual Adjustable Curved Trigger includes over travel and pre-travel adjustability. It is machined from tough alloy steel and guaranteed for life. Ensure you review the full description prior to ordering. Bruce Gray has combined the adjustable over-travel feature, unbeatable comfort and control and unrivaled quality of our original OEM SIG Sauer® Legion P22xCT, Classic Standard trigger, with the improved geometry and pre-travel adjustment of our wildly popular P22xST Dual Adjustable Straight Trigger series. 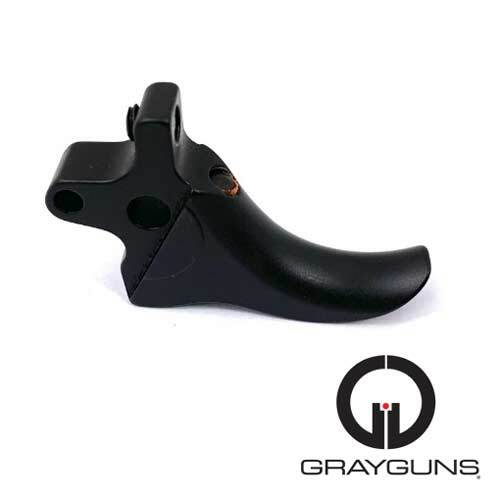 The Grayguns P-Series P22xCT Dual Adjustable Curved Trigger is the ultimate trigger upgrade for your Legion Series or any modern DA/SA SIG P-Series pistol. 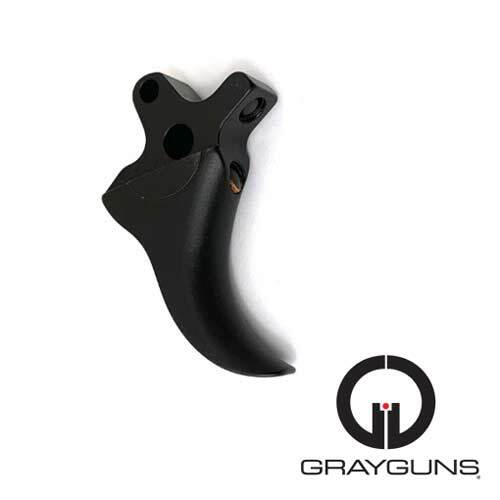 This trigger is the ultimate upgrade for your Legion Series or any modern DA/SA SIG P-Series pistol. 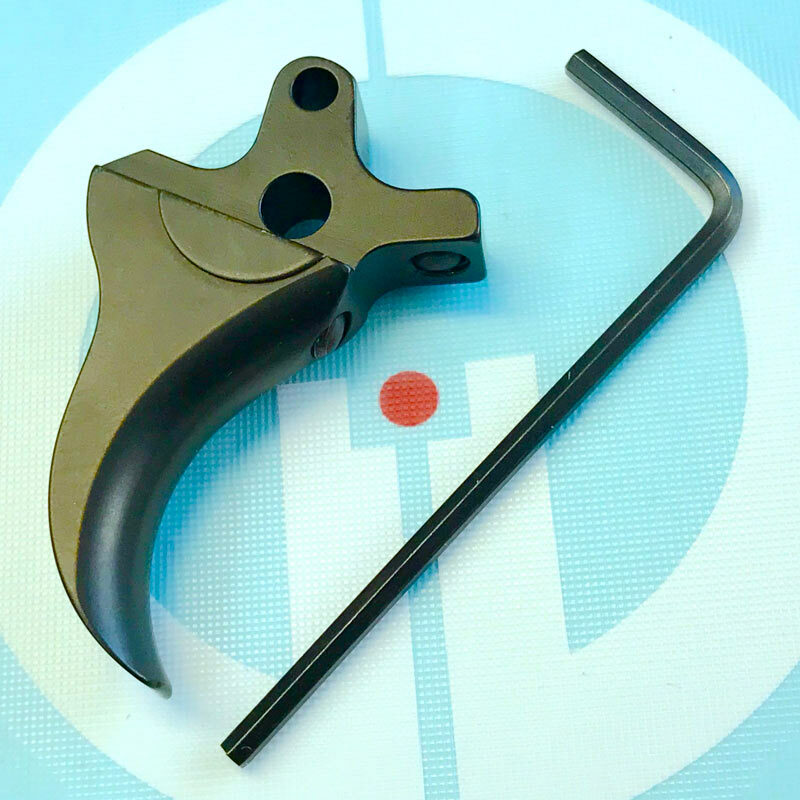 This steel trigger is carefully heat treated and finished in black oxide. Tight pin hole tolerances assure smooth, solid function. The trigger is guaranteed for life against defects in materials or workmanship. The P22xCT Dual Adjustable Curved Trigger is designed to fit both current and older model traditional double action (DA/SA/decocker) P-Series pistols, including: X5 All-Round, P220 (see exception below), P226, P228, P229, P227, and others. These triggers are approximately 10mm wide. At this time, we are not suggesting this trigger for guns equipped with the DAK trigger system. 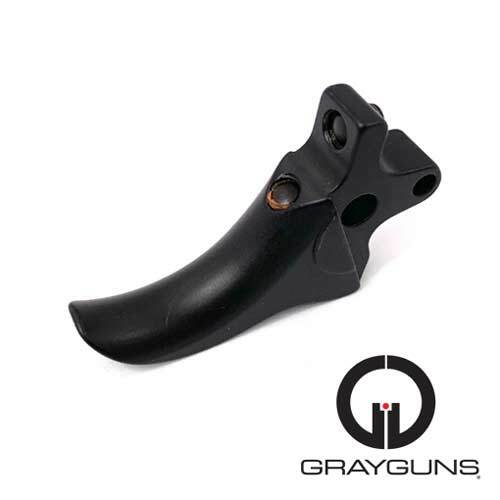 This trigger was previously referred to as the P-Series Precision Dual Adjustable Curved Trigger.